John G. Anderson visited Sedro-Woolley in 1901 and quickly saw the need for a repair shop and foundry for the logging operations and the railroads all over the county and the upriver mines. With rail transportation charges going through the roof, principals in those industries objected both to the expense of shipping to Seattle the parts needing repair and the slowdown of operations while waiting for the vital parts to be returned. Anderson already owned a small shop and foundry business in Marysville and he originally planned to just open a branch adjunct in the newly merged town of Sedro-Woolley. He soon decided however, to move his whole operation here. 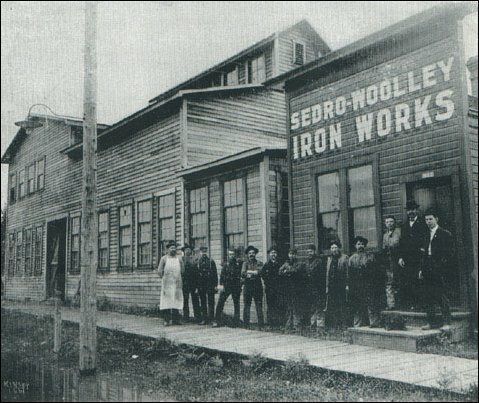 His new Sedro-Woolley Iron Works (SWIW) was the beginning of Skagit Steel, the business that became Sedro-Woolley's most important payroll for the next 70 years. Although we have not yet found details in the few newspapers that survived that period, we infer from various histories and memories of old timers that Anderson set up his initial repair shop in the back of the Fritsch Brothers Hardware store at the northwest corner of Metcalf and Woodworth streets. With all the lumber and mining camps running full tilt by then and up to 11 trains criss-crossing the Woolley triangle daily, he approached the city council in January 1902 with a plan for expanding the company with local investment. He walked out a half-hour later with the necessary capital subscription from early investors such as F. R. Faller, Frank A. Douglass and the hardware brothers, Frank Fritsch Jr., and Joseph Fritsch. The brothers soon sold their machine shop equipment to the new SWIW and Frank was elected the firm's first president. The Fritsch brothers were born in Germany in 1864 and 1865, respectively, to Frank Fritsch Sr. and Theresia Gulle [or Galle] Fritsch. The family emigrated to the U.S. in 1870 and first settled in Texas. Sometime in the late 1880s, before statehood was granted to Washington, the family moved to a homestead south of the Skagit river, just east of the mouth of the Sauk river. Sometime after a fire leveled the nearby town of Sauk City in 1889, Frank Fritsch Sr. moved to Burlington where he opened a hotel. Frank Jr. and Joseph moved to old Sedro by the Skagit River and in about 1892 they bought the hardware business of Joseph Waltz. In a 1978 oral interview with Maurice "Pappy" Splane, who was a machinist and locomotive repairman at Skagit Steel, he mentioned that the brothers reopened their store at a location somewhere on Jameson street and stayed there until the winter of 1896. As the area recovered from the nationwide Depression of 1893-96 they moved their business to Woolley in 1897 and opened a 60-foot storefront at Metcalf and Woodworth. Frank A. Douglass was the first druggist in Woolley in 1890. He was born and grew up in Wisconsin and completed his studies as a pharmacist there and then moved to Kansas in 1878, where he owned a drug store in Oberlin. After he married Minnie Ormsby there, they moved with her brother Norris Ormsby and family to Woolley in 1890. By 1902 he was very successful in his business even though two other druggists competed with him. Besides investing in SWIW, he built a new store at 618 Metcalf street in 1903. F.R. Faller was also a German immigrant. We discovered that his first name was Fred, but in the 1978 interview, Splane noted that Faller rehired him at Skagit Steel in 1919, nine years after hiring Pappy's brother Millard, and that Faller went by his middle name of Reuben or the nickname, Rube. 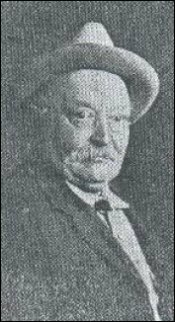 Faller moved to U.S. as a boy with his widowed mother in 1883 and he moved to Everett in 1889, where he became an apprentice ironworker with Sumner Iron Works. After building ships for the Moran Brothers in Seattle from 1900-02, he moved to Sedro-Woolley to invest in Anderson's company and work here. He is noted in an old Puget Sound Mail newspaper as being the first president and general manager of SWIW but the former title conflicts with the Skagit Steel history that was written in the early 1980s. With his considerable experience he may have well been the first general manager. 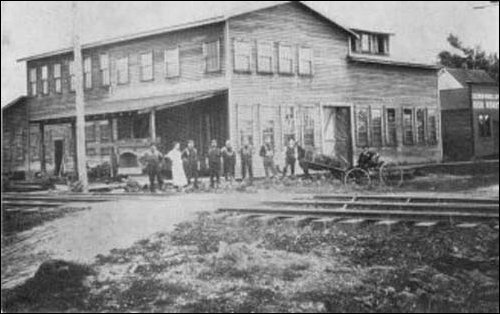 This is the original location of Sedro-Woolley Iron Works on the east side of Puget street, just south of the Seattle & Northern railroad tracks, circa 1902-05. We are looking southeast, where a manufactured home stands today. John Anderson began the business as a blacksmith in the backroom of the Fritsch Brothers Hardware store in old Woolley in 1901, as an adjunct to his larger Marysville repair shop. This photo was taken sometime in 1902 as the new plant on Puget soon became a repair shop for trains and lumber camps from here on upriver. After a fire in 1910, the plant was rebuilt west of Metcalf street near Gibson, on about the original location of P.A. Woolley's lumber camp. This photo is reproduced from the Aug. 8, 1961 Puget Sound Mail newspaper of LaConner, which is long out of print. It was loaned by Berniece Leaf. SWIW was incorporated on Aug. 1, 1902, and the founders chose a 166-by-216 strip of land in the heart of the lumber mills at the time, south of the S&N tracks and on the east side of Puget street. From early maps the location appears to be on Great Northern Railroad property just south of the east-west tracks. That was in the middle of the timber tract that was first logged by founder P.A. Woolley's company starting in 1890 and the area was probably clear-cut by the time SWIW erected their building. Ten years ago, after a waiting period to text for dioxin, a manufactured home was moved to the former plant site. A single 40-by-60 foot, two-story woodframe building housed the entire SWIW plant, consisting of a machine shop, an iron foundry and a loft for storing patterns, and the equipment consisted of only a planer, a drill press, a lathe and a cupola. Roger Peterson discovered that other key early settlers here also invested in SWIW when it was originally capitalized for $10,000. They included Ad Davison, an early mill owner; John Henderson, who was elected the first treasurer; and Clay Gould, who acted for an unknown period as office manager and bookkeeper. Most of the SWIW business in those early years was repair work for the mills and logging camps, but the company was innovative; they soon made iron stakes for Albert Mosier's surveying crews in Sedro-Woolley and countywide, along with iron pulleys three feet in diameter and jacks that could move 4-tons of logs. Soon, mills, mines and logging firms all over upper Puget sound moved their repair work to SWIW. W.R. Morgan launched his electric company for Sedro-Woolley in, but its power lines were concentrated in the business district so SWIW installed its own electric plant that powered 36 electric lights. The SWIW payroll was $700 per month for its 12 employees. 1905 photo of the Puget street plant, looking northeast from the middle of Puget. Includes, from l. to r.: Charles Creese, unknown, Ed Clinchard, Bill Rouse, unknown, Charles Walgren, unknown, Bob Naubert, Dave McIntyre, Bennie Anderson (may have been son of John Anderson), F.R. Faller, Clay Gould. Courtesy of a 1939 Courier-Times article. Sometime in 1902, David G. McIntyre, a former ironworker and machinist in Michigan and Wisconsin, walked east down the railroad tracks from his new farm in Sterling to Sedro-Woolley and met John Anderson and the other principals of SWIW. They soon hired McIntyre and he soon became a key employee, spending much of that early time around logging camps, repairing locomotives, rustling up business and establishing confidence in his company among the men and firms with whom he dealt. By the end of 1902, SWIW was working at full capacity after local customers found that the company could produce faster and less expensively than if the customers sent the repair work to Seattle by rail. In 1903, work orders were so plentiful that the company erected a 30-foot x30-foot addition to the plant that housed furnaces and a new blacksmith shop; SWIW was already considered the best shop in northwest Washington for blacksmithing, forging and repair jobs. As capital was needed for more expansion, McIntyre jumped at the chance in 1906 to buy his first stock. (A 1939 Sedro-Woolley Courier-Times story states that he first bought stock in 1903 but that is not reflected in any other records.) His daughter, Catherine McIntyre McClintock, wrote years later that her father soon entertained dreams of owning the company with his son Sydney who was already showing signs in teen age of having an inventive mind. In 1907, when he turned 14, Syd began working at the plant. His first job was to stoke the fire under the power plant boiler. He learned operations so quickly that, even though he was rather small and short to operate a lathe, he was employed at the plant as an apprentice lathe operator during high school summer vacations, starting in 1908. His help was needed as the company took on even more repair orders from the dozens of sawmills in the northwest counties and then filled orders from Washington Portland Cement Co. and Superior Portland Cement Co. in Concrete for castings. The year 1908 also marked the beginning, on a limited basis, of the company's foray into manufacturing. The Hallidie Machinery Co. of Seattle ordered single-drum hoists, and gold-dredging operations in Alaska ordered rotary pumps. That also marked the beginning of what would become a profitable market with similar companies in Alaska. At the annual meeting that December, McIntyre bought out the shares previously owned by Frank A. Douglass. He was more than halfway towards owning majority control. Fire leads to a new plant Everything came crashing to the ground on Sept. 1, 1909, when fire raced through the plant site, burning the repair shop, machine shop and foundry to the ground. The fire department was just four blocks away and the volunteers and the men at the plant were able to save the original office building that held all the plans, drafting and wood "pattern" molds. That proved to be vital for the future. The company itself, however, did not have enough capital to immediately rebuild. They were already bursting at the seams and needed more room anyway, and the stockholders lacked funds for rebuilding the shops and adding new plant space that would be needed in the upcoming years. Although most of the local newspapers from the period of the fire disappeared in other fires since then, Roger Peterson and I have pieced together various sources (see the list at the bottom) plus copies of correspondence that McIntyre descendant Berniece Leaf has saved and we have come up with this conclusion about the rebuilding period. First, we know that nearly a year went by before the company reestablished itself. During that time, David G. McIntyre went to work for the cement companies in Concrete that had been company customers and his son enrolled in the engineering program at the University of Washington. We have also noticed that, during this period, John Anderson's name disappears from accounts about SWIW. From a 1953 Courier-Times article we know that he sold out his interests at an unknown time and then started a new rail-straightening business. The business was first conducted out of a shed near his house, which still stands at the southeast corner of Ferry and Puget streets, and then expanded it at an unknown location on State street. We know that he was very ill for years and died on an unknown date in 1947. From the McIntyre letters, we know that he corresponded with companies in other locations about possible positions during that time, so he may have been flexing his muscle. We know from company records that he was elected secretary of the corporation at the annual meeting on Christmas eve, 1908, and Faller was elected president at the same meeting. This 1920s postcard photo of the plant is a view looking north and the building at the center right is the office that was moved from the original Puget street site after the 1909 fire. These historic photos of the individuals and the plant, if not attributed to newspapers, are from the collections of Berniece Leaf and the late Catherine McIntyre McClintock. 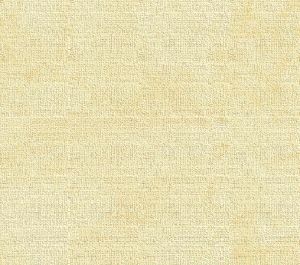 Perhaps the original minor investors, Kirby and/or Davison, invested more capital or perhaps financing was obtained from the Bingham or the First National Banks. There is no record explaining where new capital was obtained. Regardless, we do know that in 1910 the company bought a block from P.A. Woolley at the corner of Gibson street and Eastern avenue, west of the Northern Pacific Railroad north-south tracks. That became the nucleus of the plant for the next 70 years. The office building that survived the Puget street fire was moved on log rollers to the new site and a new 64-foot x 64-foot machine shop was constructed along with a 30 x 100 new iron and brass foundry. That foundry was expanded many times from 1918 to 1975. Splane noted in the interview that when the new plant was erected, SWIW switched from steam power to electric, which powered two big motors hooked up to the overhead line shaft and then belts came down from the line shaft onto the lathes and boring mills. The company soon made news when they produced a triple-drum donkey engine with two cylinders and double haulback drums for use by camps that scraped gold-bearing gravel in Alaska. This donkey became very popular because it eliminated the need for digging ditches and because it had a wood-sawing attachment so that operators could saw their own fuel for the boiler. This photo of the donkey engine manufactured by the SWIW for scraping gold deposits in Alaska is from a 1913 advertisement. The go-between may have been Benjamin D. Vanderveer, who originally owned Van's Place, the predecessor to the B&A Buffet on State street at the border of Sedro and Woolley. He was one of the few prospectors who headed from here for the Klondike in 1897-98 and actually made money. Over the next two or three decades he and druggist Paul Rhodius made major strikes at the Fourth of July creek and Eagle in southeastern Alaska. The original 1911 donkey was for a claim that Vanderveer owned with George R. Clark. After the new plant was underway, SWIW also produced more rotary pumps for the same gold-dredging companies. We found a document from the December 1912 annual corporation meeting that shows the election of Frank Fritsch Jr. again as president. The secretary signed his name as what appears to F.B. Howell, so he was probably a new investor. Faller remained as general manager. Skagit Steel is born In 1913, the company made news again when they bought and installed a steel furnace and invited the public to watch as the first steel castings were poured in June. That made SWIW the first steel plant north of Tacoma and one of only five on the entire West Coast. The real, and only reason for the change was a decided overgrowth, as their steel foundry has grown to such proportions in the year and a half of its operation that its output already equals in value the production of their large iron and brass foundries. In order to do their steel foundry due justice they have adopted the name Skagit Steel & Iron Works. The new name is significant from the fact that it not only embraces a description of their product, but also advertises their well known brand of steel, namely Skagit. . . . In a recent interview with F.R. Faller, general manager of the company, he stated that . . . as there had been so many failures in the steel game, and so few that had survived beyond the experimental stage, they would make no change in name, neither would they advertise their product, nor solicit any steel business outside of their immediate territory until they were satisfied beyond a shadow of a doubt that their product was of such a high degree of strength, purity and uniformity that they could stand squarely back of every pound produced. Faller went on to enthuse about the sales of their new steel products outside of their original territory of northern Puget sound, based on the testimonials of their customers in Skagit and Whatcom counties. And he pegged the growth on the success of their patented Pacific Skagit Steel Stump Puller, the land-clearing winch that appeared just in time for the farmers who were clearing large acreage that resulted from the clear-cutting of timber stands up the slopes from waterways all over the Pacific Northwest. SWIW apparently introduced a primitive cast-iron stump puller as early as 1909, before the fire, but the new model was made of the new steel castings. An advertisement from the Sept. 4, 1914, Courier-Times shows the machine, which was powered by one horse pushing a capstan-like device round and round. The copy of the ad advertises functions and benefits such as: V-shaped skids that prevent the machine from turning over on rough and stumpy ground; dog-teeth that are out of the way of twigs and dirt; a drum close to ground so that horses can easily step over it and sweep hole large enough to take a small tree. Faller explained how shady wholesalers had previously produced similar machines that were made of common cast iron: "I wish to say emphatically that when we say a thing is steel it is steel and we will make any man a present of a Pacific puller if he can find a pound of cast iron, exclusive of the name plate, in any of the pacific stump pullers we are now manufacturing." He explained that the land-clearing was only a side issue for the company, but that they were designing a smaller-size, horsepower machine that would cost only $70 or $75 and another compact model that would be powered by gasoline. By 1916, Skagit Steel became the preferred place to work. Leo Becraft quit the veneer plant that year and did not retire until 1964, setting the seniority record. Jack Hebert started two years later and retired around the same time that Becraft did. After rocky years during the Depression, much of the nucleus of the work force stayed with the company for 20-30 years. An article in the May 14, 1916, Seattle Post Intelligencer shows another new product: the gas-powered jitney bus manufactured by the company. The product was snapped up by many school districts and transit systems in smaller cities, even though one of the three photos showed what happened when the bus collided with a train just as it was leaving Clearlake with a load of passengers, none of whom were injured. The bus was built on a Model-T chassis but stretched with a Skagit Steel "truck attachment," much as limousines are stretched today. This photo of an early Skagit Steel MAC Fordson unit was operated on a "pole road" by the Scott Brothers logging company of Concrete, circa early 1920s. Photo courtesy of the book, Skagit Settlers, which is still for sale at the LaConner Historical Museum. 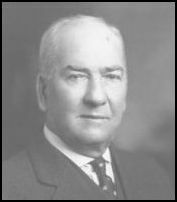 1917: McIntyres take control When the corporation annual meeting was held on Christmas eve, 1917, David G. McIntyre assumed managing control of the company by buying the shares of a few smaller investors and part of Faller's stock. Sometime before that, McIntyre called on his son Syd to come home before finishing his engineering degree so that he would be on hand when they gained control. Syd was the one who convinced his father that future success for the business depended on a change from being primarily a repair shop to cutting-edge manufacturing with an aggressive marketing program, which Faller must have heartily approved. Within a year, the McIntyre father-and-son team bought out the Fritsch brothers' stock, amassing 90 percent of the stock and leaving only a minority position for Faller, who stayed on as general manager for a few years before he retired to Everett, where his family lived most of the year. Syd immediately set out to manufacture a new donkey-engine-style hoist for loggers that would replace the steam donkeys, which were the cause of many fires in the woods and required a large crew of men. Syd had great latitude to tinker and he soon began experimenting with a Fordson tractor engine, which was introduced in 1916-17 by Henry Ford and his son in a separate company when the Ford Motor Co. would not authorize the manufacture. In 1920 the Fordson tractor was selling in high enough numbers that the company was folded back into the Ford empire and in 1921 sales spiked even higher, partly because of the price war conducted against competitors such as International Harvester. By then, Syd had patented his hoist and the low prices of the engines enabled Skagit Steel to see their device at a very competitive price. The result was the "Motor Appliance Company" or MAC Little Tugger. It had a number of advantages, mainly because it eliminated firemen and woodcutters and could be shut off between pulls. It was also a double-duty machine because an operator could simply remove four bolts on the gear wheel that fastened the hoist to the rear axle of the Fordson, and exchange the rear wheels, so that the tractor was ready for plowing, harrowing or other farm work. The first Little Tugger was sold to Bloedel-Donovan for logging between Alger and Blanchard. Observers came from many miles away to see it in action and sales rapidly escalated, eventually totaling 600. Thank you for contacting the Benson Ford Research Center. I have done a search of our museum artifact database and haven't found any results for Henry Ford and Sedro-Woolley. I have also checked the index to the Ford News, a Ford publication published between 1920 and 1943 and found no entries for Sedro-Woolley or anything that looked promising under Washington State. I know Mr. Ford traveled at least once to California but I haven't run across anything placing him in Washington. I'm sorry I could not be of more assistance. We did find in the archives of the Sedro-Woolley Courier-Times a brief article that could be the inspiration for the legend. In the Dec. 2, 1920, issue, there is a mention of a Ford Motor Co. declaration that the Little Tugger hoists were the best Fordson tractor attachment, and that a representative of the company visited Sedro-Woolley to observe the Skagit Steel manufacture. Back in 1993, an archived Skagit Steel movie was donated to the Sedro-Woolley Museum. Some claimed that the movie included a clip of Henry Ford, but upon looking closely at the person in the movie, we determined that he did not resemble the grand old man after all. Syd had a full head of steam going and receipts to back up the first of dozens of patents he would register over the next 40 years. 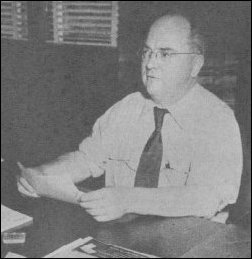 Back at the drafting table, he soon designed a conversion unit for the Fordson tractors in the oil fields for boring wells. Then he began working on a locomotive for logging camp railroads that were forming a web all over Whatcom, Skagit and Snohomish counties. By the end of 1921, Skagit Steel was gaining national attention as their they supplied gas-powered freight cars to the City of Seattle and Tuggers and Fordson conversions to customers all over Washington, Oregon and Idaho and several other states. That first Tugger design was upgraded later in the decade to incorporate two of the Fordson machines to produce 44 horsepower. Fordson-powered locomotives from Skagit Steel were also shipped to loggers, contractors and miners all over the county plus Japan and India. The McIntyres also leased out a corner of the plant to the Downs-Osborne company, which assembled their Paragon tractor-plow there, starting in 1921, but we cannot find any record of the success or failure of that company. Skagit Steel became most famous locally in March 1924 when a co-op of business men — who wanted to promote agriculture on clear-cut acreage, bought an MAC Little Tugger model that Syd adapted in 1923 for land-clearing. The business leaders in the Commercial Club, forerunner of the Chamber of Commerce, furnished the Tugger machine to farmers free of rental charge; the only cost to them for gas and oil, transportation and broken parts. Over the next year, 70 1/2 acres were cleared for $1.01 per acre, compared to an average of $21.72 at full retail cost. During the 1920s boom years, the plant employed 125 employees on two shifts, a major $15,000 monthly payroll that supplemented the local mills, Northern State Hospital, the Carnation condensery and the Valley Cannery, along with the Box and the Veneer plant in old Sedro, until it burned in the mid-20s. Gasoline-powered MAC passenger coaches for railroads were introduced in 1923. In 1924, Syd's patent on the Fordson-powered locomotive was registered, and orders were immediate from all over the country, South America and the Orient. Their rail car production required the erection of a separate galvanized-iron building, 64 x 42 feet and 22 feet high, which became Pappy Splane's assignment. 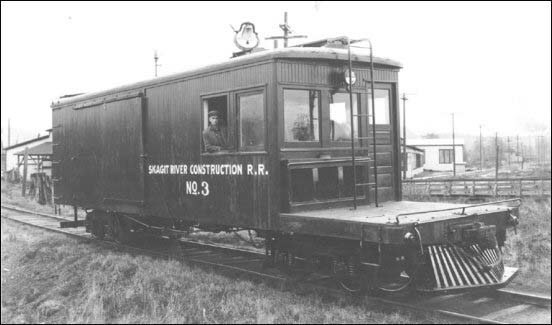 With forest fires endangering logging profits in the state, Syd designed a larger version of the Skagit Steel gas-powered rail car that the logging companies could convert to a fire-fighting weapon in dry season by equipping it with a pump and water tank. That conversion was bolted onto a standard MAC gas-rail car with an 8-foot x 20-foot deck. That unit was based on the Speeders that Skagit Steel began producing in 1922, after testing them with logging outfits in Lyman. Speeders will be explained in more detail below, regarding the 1930s decade when their sales became the backbone of the manufacturing division. 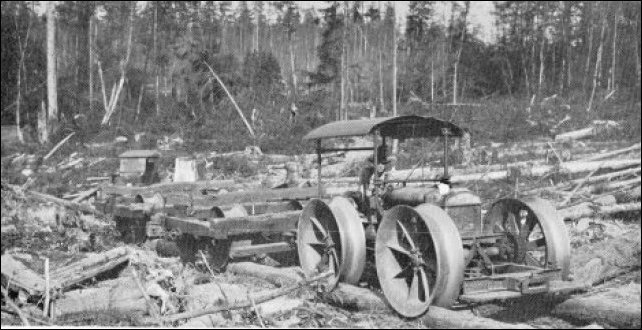 In 1927, Skagit Steel introduced the first air-controlled, variable-speed yarder for logging operations. Called the BX-series MAC, it was a 170-horsepower, four-speed gas donkey. At the first demonstration for Sound Timber Company, the professional observers remarked that it incorporated all the advantages of gas with the power of steam. As the decade closed, Ford's tractor division slumped in sales and effectively ended in the U.S. after 1928, but Skagit Steel merely adapted their MAC systems to McCormick-Deering tractor power units, at the same time when that company also sold dozens of tractor implements through the H. Bean Hardware Co. on State street. 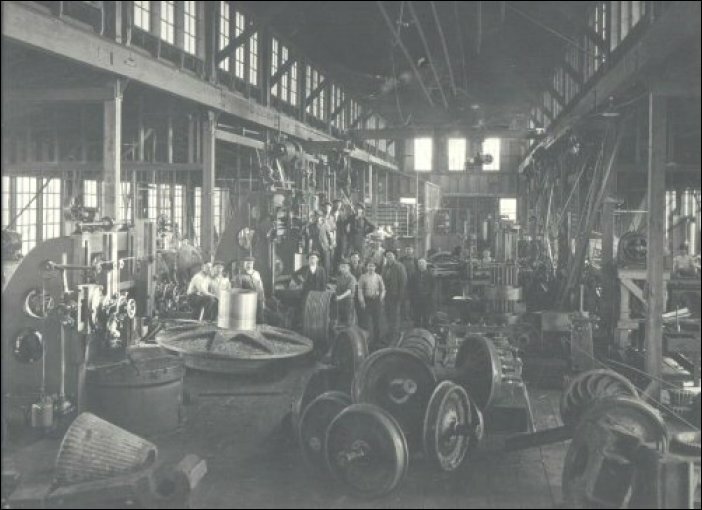 This photo from the Leaf/McClintock collection shows the interior of the Skagit Steel machine shop sometimes in the 1920s. This machine shop was expanded many times. As the automobile and trucks began replacing other forms of transportation for both passengers and freight after World War I, business leaders in northwest Washington began calling for a highway through the Cascade Pass of the North Cascades over the same route that was envisioned for a transcontinental railroad 60 years before. Deep snowpack in most years added to the obstacles of steep mountainsides, roaring creeks and deep gullies. In 1925, the Cascade Highway Association [CHA] was organization and David G. McIntyre began diverting much of his attention to the new group, making this the second community-wide project after the land clearing. He had earlier served as head of the Auto Club of Washington Skagit Branch as well as serving as mayor of Sedro-Woolley. His son Syd had proven both his creative and organizational abilities, so David began a transition to administrative duties at age 63. Syd would design new products and parts and patent his inventions; the well-trained crew would manufacture the products; while David applied his skills to marketing the company and marketing Sedro-Woolley and Skagit county. By 1927, David was elected president of the CHA and he would spend almost every spare hour he could on the project for the next ten years. Then the roof fell in for everyone in October 1929. 1936: Sales branch 1936 established in Seattle with display rooms and offices on south First street near the Sears building, managed by Earl Hoyt, who married David's daughter Marjorie and was father of our key source, Berniece Hoyt Leaf. A 1939 article in the Sedro-Woolley Courier-Times noted that one of Skagit Steel's most notable products starting in the 1920s was the 20 to 105-horsepower speeder along with diesel rail cars. Earl Hoyt, who married David McIntyre's daughter Marjorie, marketed these products in a specially created Seattle sales office for Skagit Steel. By 1939 the company was designing and manufacturing diesel electric locomotives for Seattle City Light to haul freight and passengers to the dam sites in the North Cascades. Photo of an early speeder from an undated sales promotional flyer. April 1939: designed and built $20,000 diesel electric locomotive for Seattle City Light for hauling freight from Rockport to Seattle City Light dam camp. Powered by two 200-hp motors. Expands to State street garage where Market Place Foods now stands, built after the fire of the Massar/Devener lumber yards in 1938 consumed buildings on that whole block. David G. McIntyre bought five lots there in the early 1920s in preparation for expansion. From the 1978 oral interview with Pappy Splane by Peter Heffelfinger Maurice "Pappy Splane" was born at Silver Beach on Lake Whatcom, Jan. 21, 1895. When he was just an infant, his family moved down to Sedro-Woolley. His father was hired to supervise construction of the Day Lumber Co. mill near Big Lake and Montborne. In 1904 his father built the house that still stands on Township street, originally placed on the foundation of a 16-foot diameter cedar tree. After swinging a sledgehammer as a blacksmith's assistant, he apprenticed at Sedro-Woolley Iron Works, starting in 1913, then went into the Army in World War I, and was rehired by Skagit Steel & Iron Works in 1919. He worked there off an on for the next 14 years, before he eventually became a game warden. Links, background reading and sources In the summer of 1953, the company went through another growth spurt when it was selected for a major Army contract after vigorous lobbying by Ernie Jones in Washington, D.C. That turned out to be a good news/bad news announcement because, on its heels, came the news that Skagit Steel had outgrown its plant acreage and was entertaining offers for new industrial parks from Burlington to Bellingham to King County. Read our Subscribers Magazine story about how local businessmen took the ball into their own hands and raised the money to pay for the land and homes north of the original plant in 1953, actions that convinced Skagit Steel not to move away from Sedro. Woolley. Transcription of a 1929 Washingtonian magazine article in two parts, profiling the early growth of the company and how the McIntyre family took control of it. Read our exclusive profile of David G. McIntyre and his leadership in the community, along with the impact of his family on the Skagit river area. In 2008 we will present Chapter Two about David G. McIntyre's takeover of the Sedro-Woolley Iron Works In the meantime, you can go to the link above and see additional links to articles about Skagit Steel and the McIntyres in the old Washingtonian magazine before the 1929 stock market crash. Skagit Steel & Iron Worker magazine, 1943. Clipping from a magazine with Washington in its name, rest of it clipped off. 1914. Various news clippings, Sedro-Woolley Courier-Times, Skagit County Times.